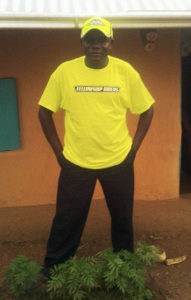 « Kenya On Fire for the Lord!!! The reports from our 3 pastors in Kenya; Pastor Jared in Kisii, Pastor Samuel in Nakuru, and Pastor Davis in Nyamira; are humbling and astounding. These dear pastors are continually telling of the move of the Holy Spirit among their Boda Boda and among the entire community as they have focused on taking the Gospel to this group of people. 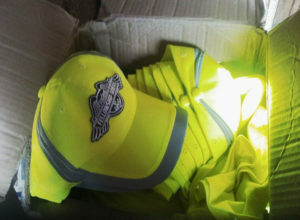 To help create an identity among the Boda Boda who have accepted the Lord as their savior and to encourage them in the Lord, we recently sent 35 t-shirts and caps, split among each ministry. Although not nearly enough for every rider, it is our hope that through the help of all who want to share in this ministry, we will soon be able to send enough for all. “Riders were so excited when I showed them the t-shirts and they hope they will use them in the coming rally”… Pastor Jared. We ask you pray often for these and that you will contribute to this work of the Lord by making a tax-deductible donation to support the spread of the Gospel in Kenya by clicking on the Donate button. It is our hope that these ministries, who have so little, will “lack for no good thing” and that the Gospel not be restrained for financial reasons. You, your church, your family, your Bible Study, and your employer can help. By your giving, you will have a part in the testimonies of these you have touched halfway around the world for the cause of Christ.